Usually, when a player has a breakout season like dutch opposite Nimir Abdel-Aziz did, they are courted by the elite clubs of the volleyball world. Teams like Zenit Kazan, Civitanova Lube, and PGE Skra Belchatow often treat the lesser teams of their respective leagues as development squads, scooping up players with the promise of money and prestige as soon as they start to impress. 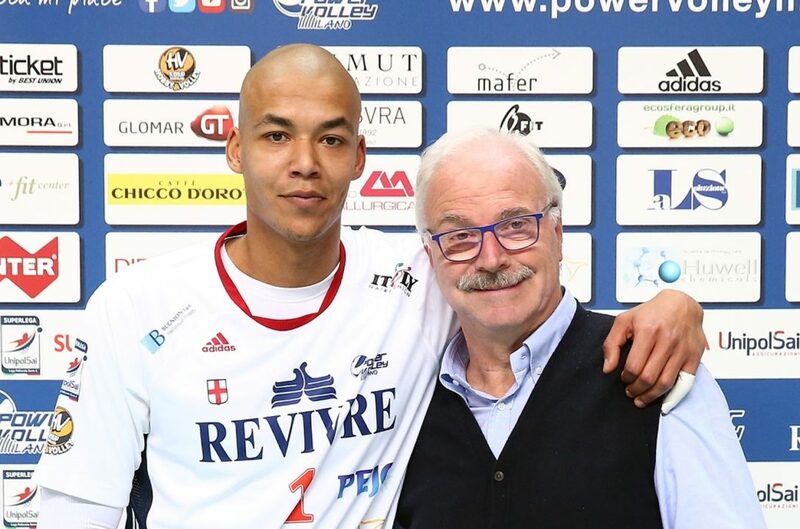 Nimir didn’t give them that chance though, as he chose to sign with 6th place Revivre Milano for another season. To realize how big of a deal this signing is, you have to know how impressive Nimir Abdel Aziz’s season was before he went down with an abdominal injury a few weeks ago. He was on pace for having the highest scoring season in the SuperLega’s history, and not by an insignificant margin either. He was averaging over 6 points per set and was set to score over 600 points on the season. The 500 point mark is usually only surpassed by 1 or 2 players each season. And he was doing this with great efficiency, scoring on over 50% of his hits. He is also still leading the league in aces despite missing multiple games in a row. A player this effective is rare, and an opposite that can dominate games is a given on any of the top club teams in the world. This move shows that the middling teams in the SuperLega are not happy with the status quo, and are willing to make the moves and to spend the money that it takes to be a great team.